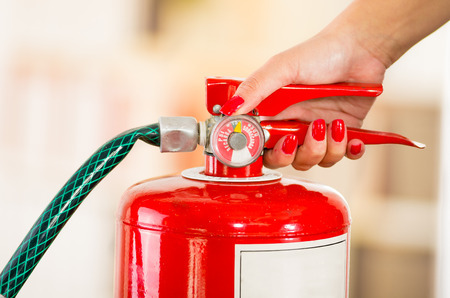 The best home fire extinguisher is one you can easily handle yourself to put out most household fires. Your home is your family's safe haven. It's the place you return to each evening, leaving your workday worries - and the outside world - behind once you secure the front door. While your walls provide safe refuge within which you can weather the storms of daily life, ensuring your family's physical safety while inside requires some extra precautions. These include creating a first-aid and disaster survival kit, installing detectors to alert you to fire and other hazards, and securing your home's doors and windows against thieves. These products can help ensure safety around the home.